It’s pure perfection for five Sandy Creek High School students. Juniors Anita Glenister, Lexi Goodnough, Jay Ivison, Sarah McDougal and Madeline Yousey earned a perfect score on the New York State English Regents Exam that was offered statewide on January 27. 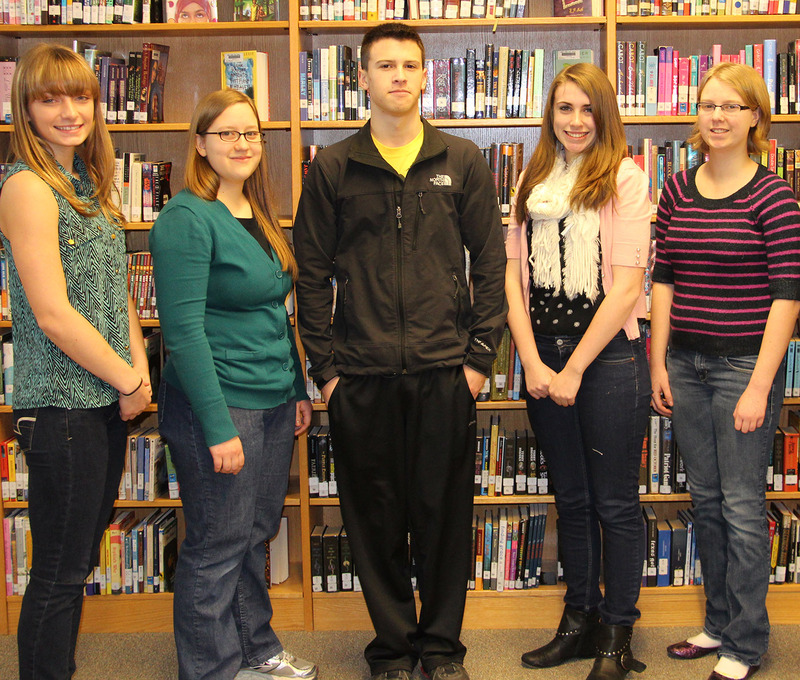 Pictured from left are the five Sandy Creek High School juniors that earned a perfect score on the New York State English Regents Exam that was offered on January 27: Lexi Goodnough, Anita Glenister, Jay Ivison, Sarah McDougal and Madeline Yousey. For students in the Sandy Creek Central School District this day was actually a snow day. Continuous heavy snowfall and harsh winter conditions resulted in the call to close school for the day, but still offer students who were signed up to take the exam the opportunity to do so. The district had 67 students signed up to take the exam and soon after the decision was made to cancel school, district representatives began contacting those students and their families to see if they were still interested in sitting for the exam. Between district transportation, parent transportation and even one student who decided to ride a snowmobile to the school to take the exam, 59 students ended up taking the regents as scheduled. The statewide exam consists of three parts: 25 multiple choice questions, two extended response writing questions, and one essay writing question. The multiple choice questions test students’ listening and note taking skills as well as reading comprehension and analysis skills while the writing sample questions test the students’ higher level of thinking and require students to prepare structured writing samples that are stylistically appropriate and supported using evidence. Sandy Creek High School English teacher Christina Hunt said that this particular exam is one of the hardest exams that she’s reviewed and that it’s important to note that the juniors sitting for the regents were actually taking the exam halfway through their junior year, five months earlier than what typically happens. 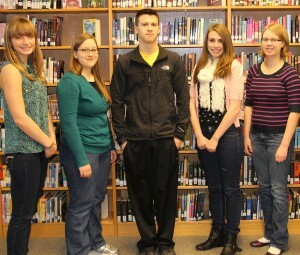 “These students were geared up to take the test and thanked me. Never in all of my years [in education] has a student thanked me to take an exam,” Amell said.